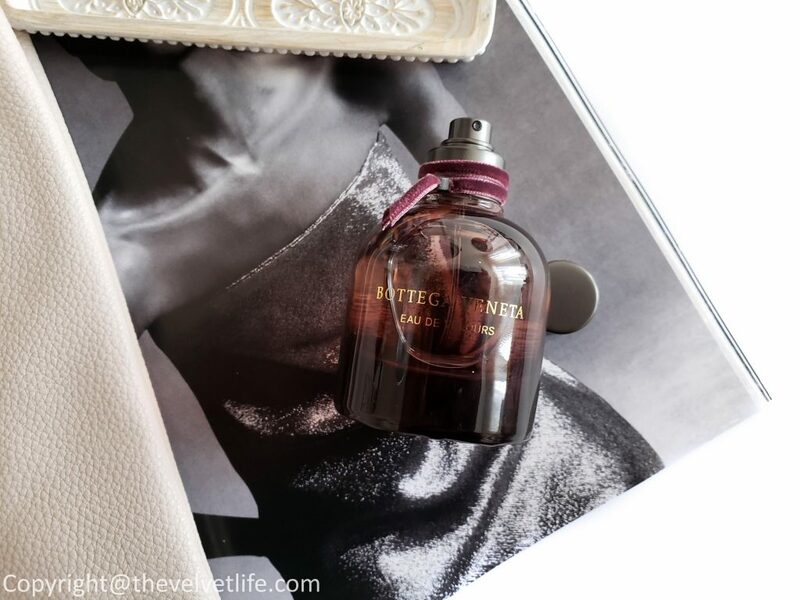 Bottega Veneta Eau de Velours, launched in 2017, is a sophisticated and bold evolution of the signature Bottega Veneta Eau de Parfum, which was presented in 2011. From the official description of the fragrance, ‘With an intense leathery floral chypre, Bottega Veneta Eau de Velours is a bold, opulent scent. 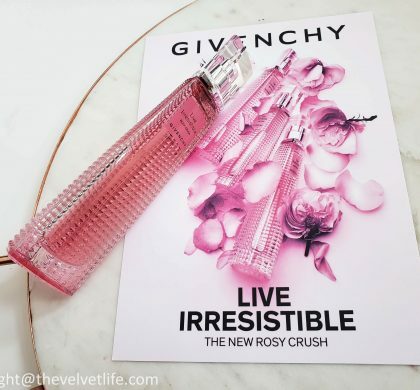 Its intense floral notes, blending rose absolute and iris butter, express elegance, and voluptuous femininity. The leather accord adds a sophisticated touch, underpinned by the deep burgundy shades of the glass bottle and the luxurious hand-tied velvet ribbon.’ The nose behind Bottega Veneta Eau de Velours is Michel Almairac and Mylene Alran. Bottega Veneta Eau de Velours (CAD $156 – 50ml) is a limited-edition, mysterious leathery floral chypre fragrance. 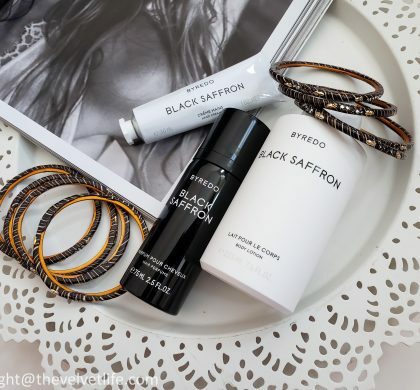 The top notes of the fragrance are bergamot and pink pepper, middle notes are rose, jasmine, plum, and spices. The base notes are patchouli and leather. The fragrance is so delicious from the first spray. The first notes I notice are citrusy with bergamot, the leather starts in pretty quickly. There is a vintage feel to it but a mix of modern composition. Such a beautiful creation. I did not notice much patchouli, but plum was definitely there, adding a fruity sweetness to it, making it more favorable as women’s scent. It is not at all a sweet but there is a hint of sweetness that comes through the fruity notes. The rose and the spices are just so beautiful, they are noticeable just around the time when the leather notes come in, the blend of all is marvelous. 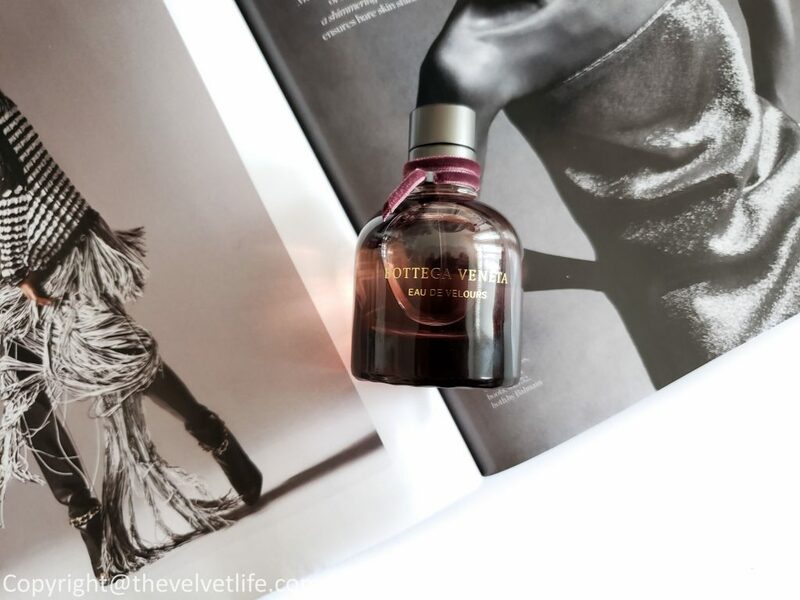 On my skin, the longevity of the Bottega Veneta Eau de Velours is around 8-10 hours. I have smelled the Original EDP from the house and do feel the similarities in both after around an hour but the opening is indeed different on both. 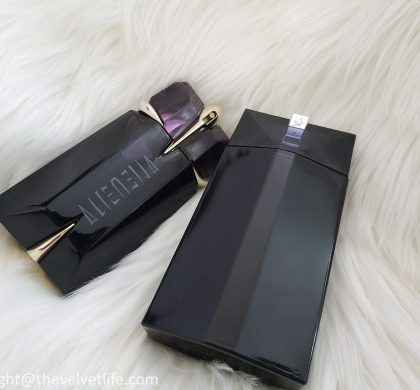 The fragrance is what I can describe as the class, the name, the packaging, and the blend are just extraordinary, It would definitely be in my top favorites. I would love to keep this for special occasions or the days I want to treat myself. This fragrance is not very heavy but the perfect sillage to make you feel that it is there. I am definitely going to look into the Original one as the last time I tried, it has been on my wishlist since then. This is definitely worth checking out if you like leathery floral chypre fragrance and moreover, this is limited edition and may be gone soon. I see it is sold out at Holt Renfrew, still available at Nordstrom, Bottega Veneta website(if you are in the US), Harrods.